Since I will be registering my car as a 1965, it doesn't need to pass the strict emissions tests that the mustang did, so I removed most of the emissions related stuff. I left the EGR and its solenoid for now because I have heard it makes the engine run better. I will probably remove it in the future. In case you were wondering, my engine runs fine after removing all of this stuff. I haven't really driven out of the garage yet so I'm not sure if everything really works, but the engine runs and sounds great. It idles at a constant rpm and I can rev it up without a problem. I figure the air pump and the other emissions stuff is good for at least ten pounds. The first thing you should remove is the air pump and everything connected to it. 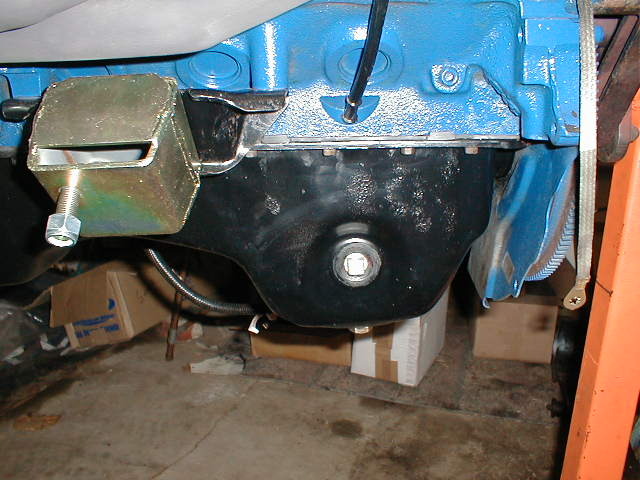 It unbolts from the front bottom of the block and from the rear of the heads. When you remove the air pump from the back of the heads you will notice two holes left. These holes go into the heads and must be plugged. You can either order inserts from ford, or get some 5/8" - 11 coarse thread bolts from the hardware store. I choose the inserts but bolts are cheaper and work just as good. Either way you go, you will have to scrape the carbon out of the threads b or you will not be able to thread the bolts in. Thankfully, I had the right tap, but people have suggested taking one of the 5/8" bolts and cutting grooves in it and threading it in until clean. This isn't really emissions related, but I thought I'd include it here. My low oil level sensor leaked so I pulled it out and plugged it with a pipe plug. I couldn't find a match for the sensor thread so I bought a 1/2" standard plug and tapped the hole to fit. I sealed it with some rtv. The fuel vapor canister was the next thing to go. It it a box filled with some rocks (charcoal maybe?) and it has a vacuum powered solenoid and a return line to the fuel tank. Its a MESS! The picture shows the actual canister. The removal is a three step process... 1.) 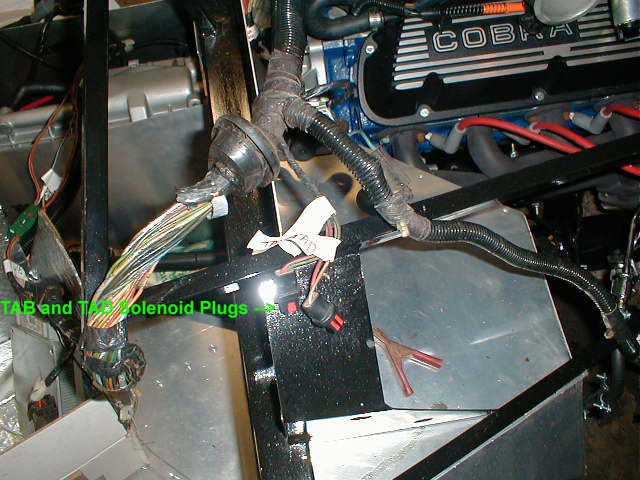 The first step is to remove the solenoid and its associated wiring. 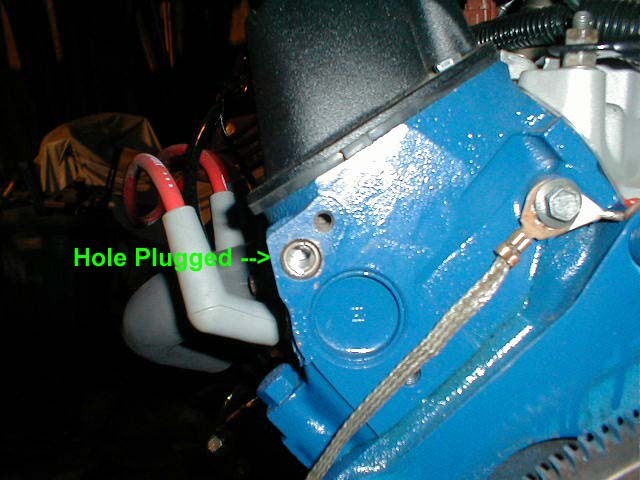 The picture shows the solenoid. You can also see the wiring plug, which is part of the engine harness (the same wires that the fuel injectors plug into). To get rid of the computer code, you should solder a 10K OHM resistor into the plug. I haven't done this yet so no pictures. 2.) 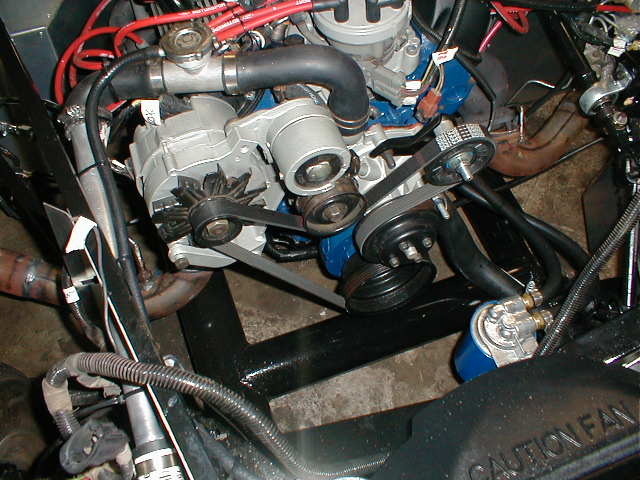 With that removed, you will now have to plug the vacuum hose that sticks out of the upper intake. I choose to plug the extension with a vacuum cap, but you could probably find a plug for the actual hole in the intake. 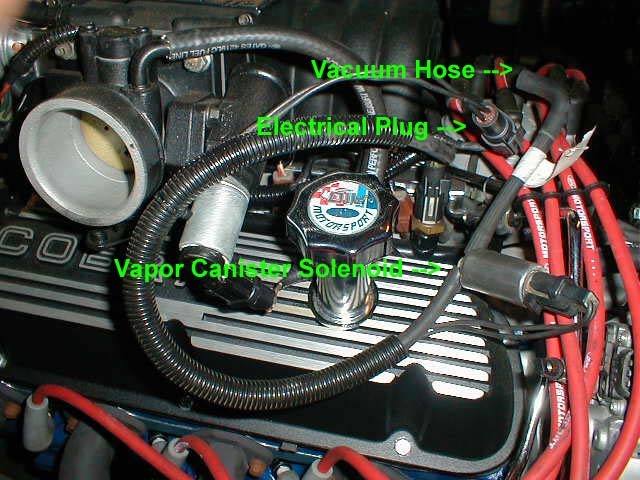 The picture shows the hose extension (the one with tape on it). 3.) 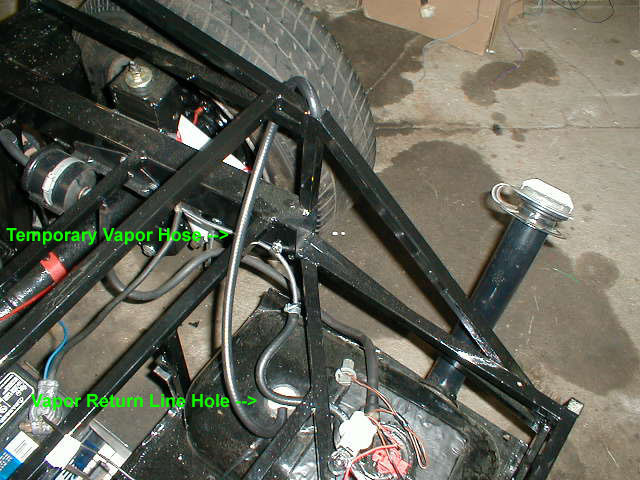 Now you have to deal with the hole left in the fuel tank from the now missing return line. One suggestion is to run an extension hose from the hole up along the gas tank filler. The general idea is just to get the vapors out from under the car so it doesn't smell. The vacuum distribution block in the back of the upper intake can pretty much be left alone. 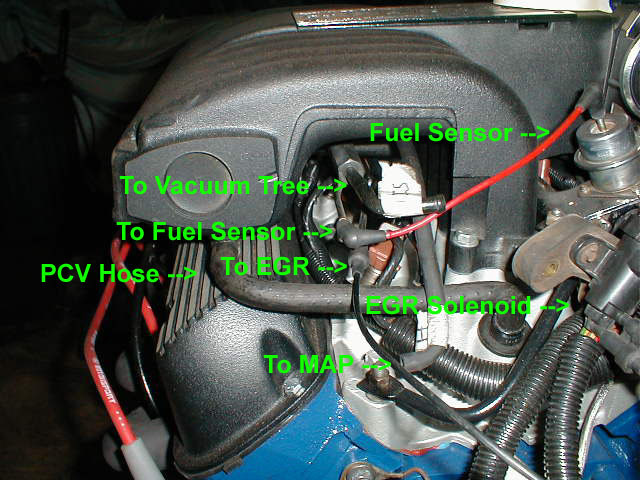 The one exception is removing the vacuum tree feed and plugging the hole with a vacuum cap. With that done you can also throw out the plastic vacuum tree. 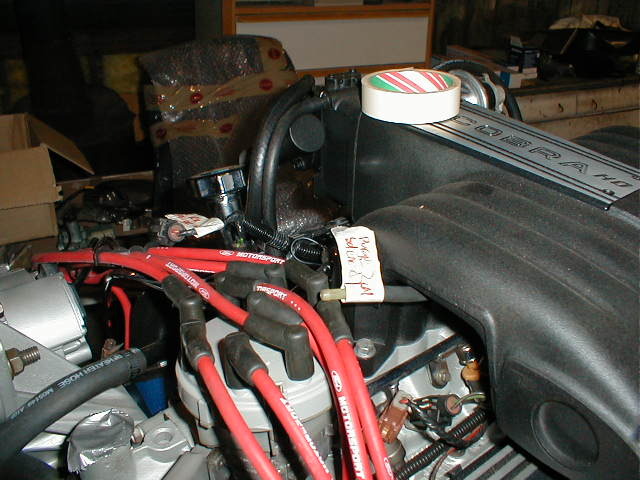 The air pump had two sensors plugged into them on the computer harness. 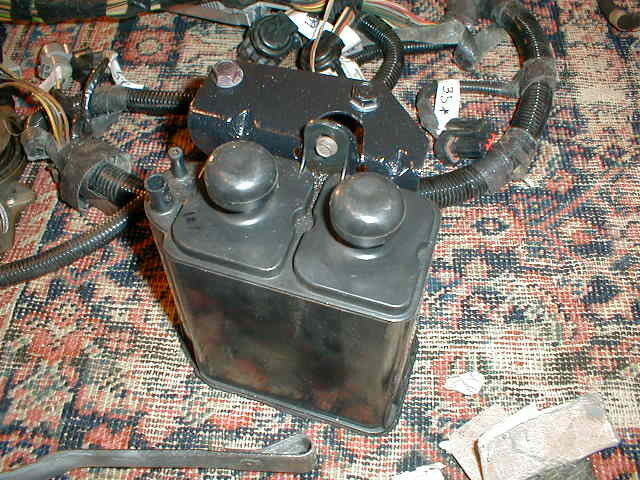 These are the TAB and TAD solenoids. To eliminate the codes, cut off the plugs and solder in a 10K OHM resistor into each one. This picture shows the plugs still in place near the computer. 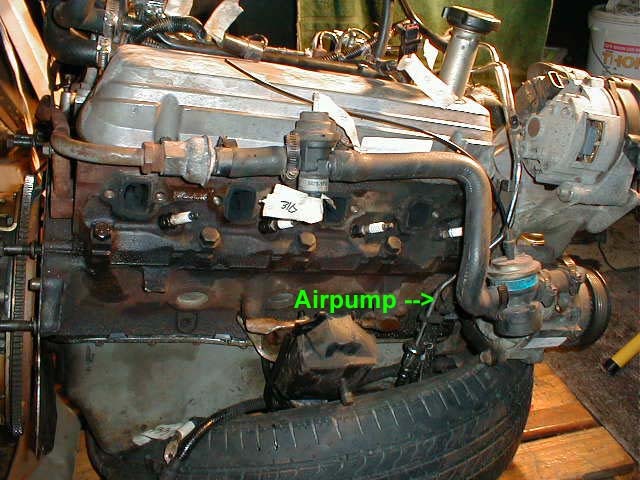 By removing the air pump, you will need a shorter belt. Go to any auto parts store and ask for a 5 rib, 59.4 inch belt and get the closest one they have. I ended up getting a 60" belt but I think anything around this length will work fine. I recomend autozone fore belts only because they are considerably cheaper than anyplace else. My belt cost $7.99, the same one at a local shop cost $34!!! !